Well it seems that the Whistlestop is closed till April due to lack of business, or maybe just a good excuse for a vacation. 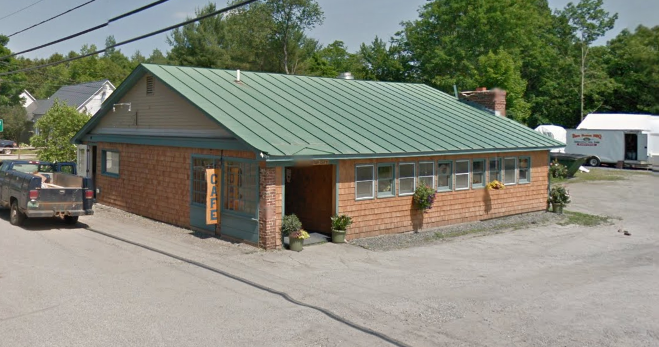 Breakfast this Sunday will be at Mickey’s Roadside Cafe in Enfield NH. 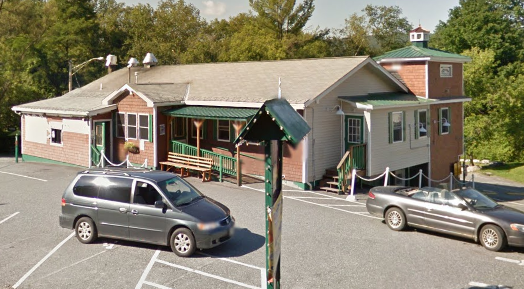 Mickey Dowd used to own the Lyme Inn and he’s had this restaurant for almost 10 years. Food and service is very good. We usually meet in the back room. If you’d like to suggest a location for a future breakfast spot please let me know. Yesterday Tim and I made the trek down to KVSF for some flying. The 304 is being stored in a giant hangar with a concrete floor so assembly could not have been any easier except for getting the tape to stick to the ice cold glider. Walters PW6 stays assembled and is sitting on dolly’s so all you have to do is roll it out of the hangar. There were 3 flights all together and I think the max (Walter and a/p mgr. Larry) was to around 5000′ and there might have been some weak wave helping him get there. A good time was had by all and I suggest you take advantage of Walter’s willingness to tow during the winter for us. It’s really been great fun. Breakfast next Sunday February 9th will be at Eaton’s Sugar House in South Royalton VT. These guys serve up a wonderful breakfast and certainly best known for the Pancakes and REAL Maple Syrup. The link above will get you to a Google Map and it’s exit 3 off 89. We’ll go back to the regularly scheduled breakfasts at the Whistlestop starting on the 16th. Just a reminder that Breakfast is at 9:30am at the Whistlestop this Sunday. This is our normal meeting place for breakfast until someone suggests another restaurant or offers up their home. Hope to see you there and best not to arrive late. Congratulation to Karl for passing his flight test today. Thank you to Bill Stinson for braving the cold. Thank you to Rick for bringing another glider pilot into the world. I am selling my partnership share in a 1978 Schweizer 1-35C and its trailer currently parked at the south end of Franconia airport. Peter Stauble, Peter Eiche and Roy Bourgeois currently own the other 1/4-shares. The glider is flapped and is fun to fly, for those familiar with flapped ships. It’s also equipped with oxygen equipment for wave flying, has a new main gear tire, and a new canopy cover. If you’re at the Franconia airport feel free to look the glider over. We usually move the 1-35C to Gorham for wave camp after 10/1/13 so the plane may be there for you to inspect if you participate in wave camp. 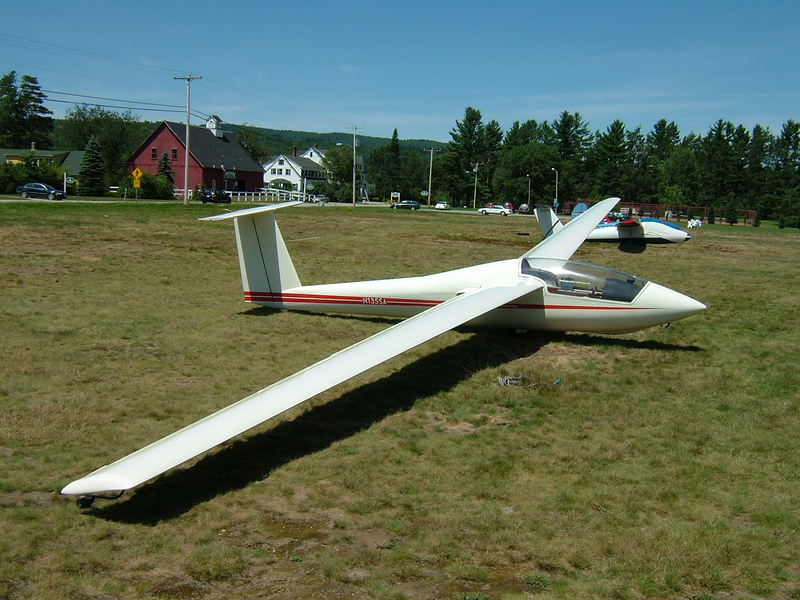 Following is a picture of the glider. You can view 1-35 information at the following web site: http://members.goldengate.net/~tmrent/soar/docs/135/sgs135new.htm. If you would like to study the glider manual please let me know and I’ll forward it to you. If you are interested in this 1/4-share, please contact me by email at tom.e.roy@gmail.com or by cell phone at 603-344-2510 and I can give you more information. 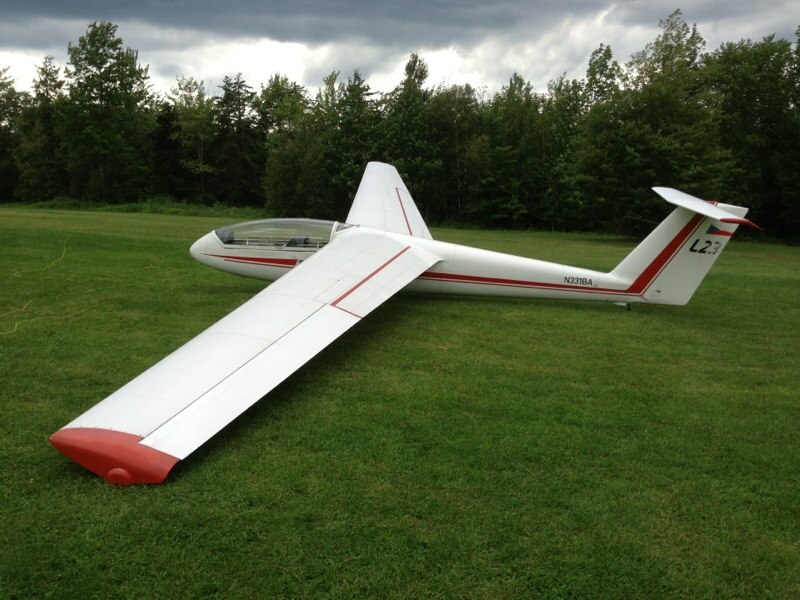 This is a very well maintained 15 year old glider that will be at Post Mills just as soon as everything is worked out. It has a new canopy, very clean inside and out and ready to fly. More pictures available on the Sugarbush Soaring Web.